Headquartered in Macomb, MI, PTI Engineered Plastics is an industry leader in custom injection molding and manufacturing of plastic components and assemblies, with a specialty in low volume production. 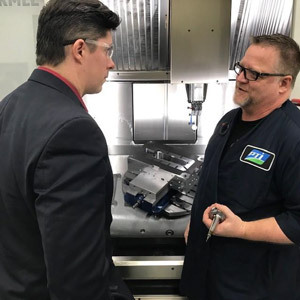 With 35 years in business, this technology-driven company has extensive capabilities in design, engineering, tooling, and low to high volume production with an array of secondary services. ISO Class 8 Cleanroom services include molding, assembly, and packaging. PTI is also fully versed in the IQ/OQ/PQ validation process. Visit teampti.com for more information.